Don't knock it. It's cheaper than nitro! New to the coast, Bill was a little confused when asked to go check the tide table. Oddly enough, it was mostly tourists who got the free car wash.
A parish priest was being honored at a dinner on the 25th anniversary of his arrival in that parish. A leading local politician, who was a member of the congregation, was chosen to make the presentation and give a little speech at the dinner, but he was delayed in traffic. Sooo.....the priest decided to say his own few words while they waited. 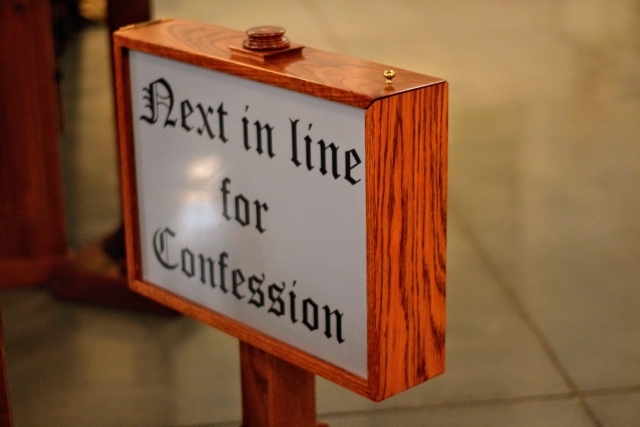 "You will understand," he said, "the seal of the confessional, can never be broken. However, I got my first impressions of this parish from the first confession I heard here. I can only hint vaguely about this, but when I came here 25 years ago, I thought I had been assigned to a terrible place. The very first chap who entered my confessional told me how he had stolen a television set and, when stopped by the police, had almost murdered the officer. Further, he told me he had embezzled money from his place of business and had an affair with his boss's wife. I was appalled. But as the days went on I knew that my people were not all like that and I had, indeed, come to a fine parish full of understanding and loving people." Just as the priest finished his talk, the politician arrived full of apologies for being late. He immediately began to make the presentation and give his talk. "I'll never forget the first day our parish priest arrived in this parish," said the politician.